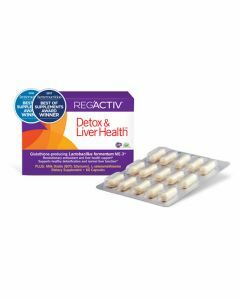 The brand name Reg´Activ® was created from the words “Active Regeneration.” This active regeneration is precisely what occurs when the patented probiotic Lactobacillus fermentum ME-3 produces and recycles Glutathione. Glutathione is the “Master Antioxidant,” which is so important because it is used by every cell in the body. Glutathione is touted by scientists as the “Master Antioxidant” for its crucial role in maintaining cellular health during daily exposure to free radicals, common environmental toxins and the effects of aging. 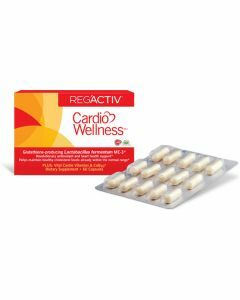 Lactobacillus fermentum ME probiotic is the potent strain in Reg’Activ Probiotic formulas. There are three different Reg Active formulas to choose from. 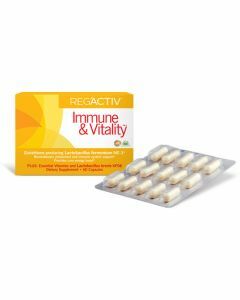 They all include the extremely effective probiotic strain Lactobacillus fermentum ME-3. Click Here to watch Ross Pelton Explain why Glutathione is so important to live a long healthy life.